We have the teams that particularly specialize in mobile apps development. This is clearly noticeable in native Android and iOS applications. We regularly use well-known or latest mobile technologies, such as: RFID, NFC, Beacons, GPS, etc. We could help you to build comprehensive IT solutions, where mobile services are on top of it. Particular focus is put on user experience and user interface of mobile applications, as well as on performances of the mobile apps. Furthermore, we provide mobile back-end facilitating operations such as: data routing, security, authentication, authorization, working off-line, and service orchestration. We follow the REST API architectures that enable you to be flexible and interoperable to a great extent. We are interested in exploring new possibilities and uses of brand new technologies, particularly apps based on concepts of augmented reality, context aware computing, pervasive computing and IoT as well. 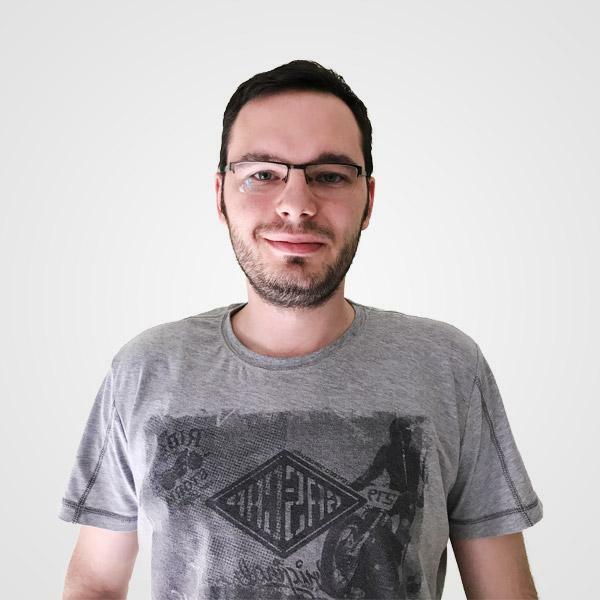 Milos is a skilled programmer and Android developer with long experience regarding developing, releasing, and maintaining native mobile apps. He is self-directed and passionate about innovation and mobile technologies. Milos has built numerous native Android apps in the past, enjoys working with talented folks and loves a good technical challenge. He owns a PhD diploma in the field of mobile business applications. In addtion, he has been working as a lecturer at the university level. Message Sent! Marko will respond shortly after your message is reviewed.